As the inelegant Rafale controversy fuelled totally be political objectives continues unabated, an Indian Air Force (IAF) team is going to France early January 2019 to inspect a gift from the French Government of two Mirage 2000 aircraft. Following the deal for 36 Rafale jets from Dassault Aviation in fly away condition, France has offered to India two Mirage 2000 aircraft at a very minimal cost. The IAF is sending an inspection team headed by an officer from the IAF of the rank of Squadron Leader to assess the condition of the planes on offer. India has in principle, accepted the offer and the inspection will be to assess the condition the platforms are in. If everything goes as expected, the IAF will add two Mirage 2000 aircraft to its current fleet of 49. The Mirage 2000 fighter aircraft from Dassault Aviation is a single engine fourth generation combat jet whose induction into the IAF began in June 1985. As one of the earliest customers in the world of this aircraft, in 1982, the IAF had projected a requirement for 150 aircraft which would have provided an option for licensed-production of this platform in India by Hindustan Aeronautics Limited (HAL). Unfortunately, this plan did not materialise and the IAF received just enough aircraft from Dassault to equip three squadrons. The move to purchase the Mirage 2000 was essentially in response to the acquisition by Pakistan Air Force (PAF) of the Lockheed Martin F-16 fighter jets from the United States. However, the IAF and the PAF have not had the opportunity to pitch the two aircraft against each other in actual combat despite the war in Kargil in 1999. The Mirage 2000 is endowed with the latest technologies such as fly-by-wire controls, a low bypass and powerful turbofan engine, a sophisticated radar and advanced weapon systems. Despite its vintage, the Mirage 2000 is today one of the most reliable assets in the combat fleet of the IAF. The fleet proved its mettle during the war with Pakistan in Kargil in 1999 and no plans have been announced by the IAF as yet for the retirement from service of this platform. In fact, the fleet is being given a new lease of life through an upgrade programme that is underway. With this, the Mirage 2000 fleet of the IAF will continue in service for at least another decade if not more. As for the report that regards France gifting two Mirage 2000 aircraft to India, the fact is that the IAF had requested Dassault Aviation to supply two trainer versions of the Mirage 2000 essentially to replace the two of these that were lost in the accidents. France has agreed to supply two in-service Mirage 2000 trainers from French Air Force since these platforms are no longer in production. The media regards this deal as a “Gift” as France is offering the planes at Euro two million per aircraft and the cost of transporting the planes to India would be around Euro one million. The total financial burden for the two Mirage 2000 trainer version aircraft would be Euro five million or 40 crore. With this meagre financial investment, the IAF will get two aircraft with airframe life of 3000 hours still left to be utilised. Given the prevailing cost of combat platforms, 20 crore per aircraft is regarded as a “throw away” price and hence is labelled as a “Gift” from the French Government. Even though the Government of India has accepted the offer by the Government of France, the final decision would hinge on the recommendations of the team that has been tasked to inspect the two aircraft. The IAF had a fleet of 51 Mirage 2000 combat jets to begin with. Unfortunately, in the period 2012-13, two trainer version aircraft were lost in accidents in quick succession bringing the fleet strength down to 49. If the two aircraft on offer are found to be in a condition to be integrated with the existing fleet, the strength of the fleet would be restored to the original level of 51. 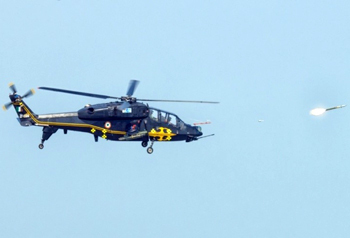 There is also a strong possibility that the two aircraft would be later upgraded to the highest standards by the HAL. In the worst case scenario, if the two aircraft are not found to be in a condition to be integrated with the existing Mirage fleet, the IAF will still be left with the option to dismantle the aircraft and use its parts and components as spares to service the rest of the fleet. 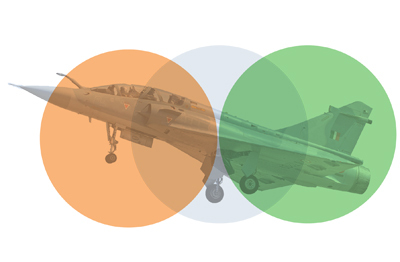 This option is also important as the IAF is likely to face a situation of shortage of spares for the Mirage 2000 fleet in the future as the production facilities with Dassault Aviation of the Mirage 2000 is in the process of being shut down. However, given the fact that the two aircraft being offered by the Government of France still have 3000 hours of airframe life left, the option of dismantling the aircraft for use of its components as spares for the rest of the fleet, is highly unlikely. Whatever be the final outcome, this move by France ought to be seen as a positive step to build goodwill between the two nations.